Unrivalled in scope and brimming with human drama, A People's Tragedy is the most vivid, moving and comprehensive history of the Russian Revolution available today. `A modern masterpiece' Andrew Marr `The most moving account of the Russian Revolution since Doctor Zhivago' Independent Opening with a panorama of Russian society, from the cloistered world of the Tsar to the brutal life of the peasants, A People's Tragedy follows workers, soldiers, intellectuals and villagers as their world is consumed by revolution and then degenerates into violence and dictatorship. 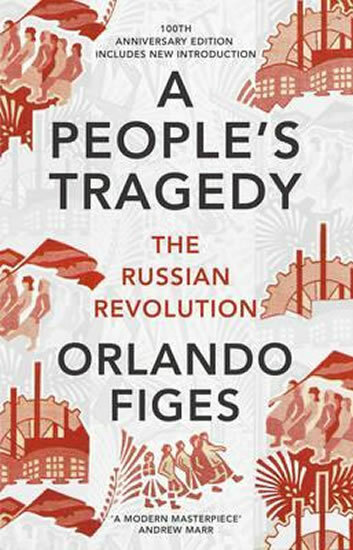 Drawing on vast original research, Figes conveys above all the shocking experience of the revolution for those who lived it, while providing the clearest and most cogent account of how and why it unfolded. Illustrated with over 100 photographs and now including a new introduction that reflects on the revolution's centennial legacy, A People's Tragedy is a masterful and definitive record of one of the most important events in modern history.